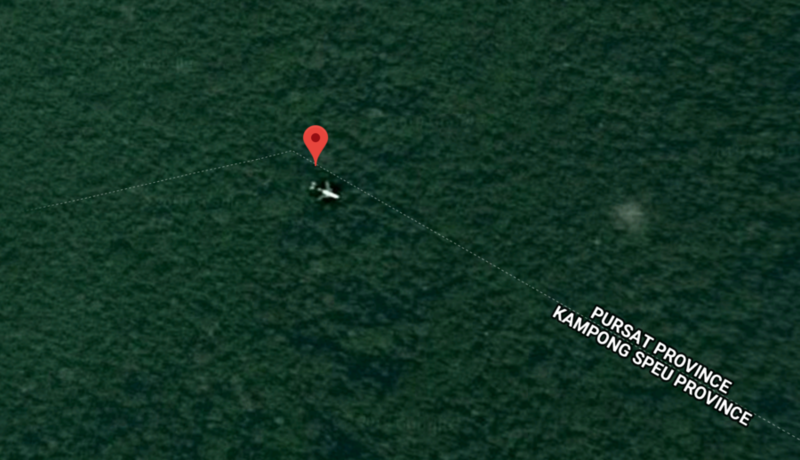 Has this Google Maps sleuth actually found missing flight MH370 in Cambodia? A British man is sticking to his claim that the missing Malaysian Airlines flight MH370 may be in the Cambodian jungle, after a Chinese satellite firm disputed his find. Ian Wilson now wants the site to be examined by helicopter. Wilson has discovered what looks like the shape of an aircraft on Google Earth amid a thick patch of forest in Cambodia. 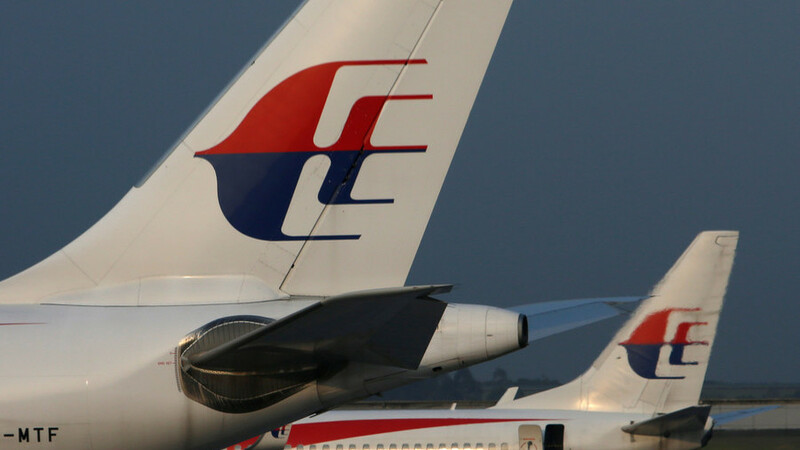 The unusual find prompted him to speculate that the pixelated shape is none other than the Boeing 777-200ER which went missing in 2014 en route from Kuala Lumpur to Beijing. The story, first reported by the Daily Star, was picked up by other tabloids and soon led many to believe that the site of the long lost flight had finally been found. While other potential findings of the plane had previously been dismissed as other aircraft flying in mid-air by experts, Wilson believes his was the real deal. Speaking to the Daily Star, he said that the aircraft he found in Cambodia was at ground level because Google Earth offers the option to “escape ground view” when close to the jet in the app. However, despite the tabloid fanfare, Wilson’s claims were quickly disputed by others online. #MH370 sitting in the jungles in Cambodia? A man found ‘the plane’ in google map 2018. Stakeholders and bystanders plead Space View to shoot at the site. So we found out 3 images of GF-1, GF-2 and SV-1, shot in 2015, 2016 and 2018 from our archive. Sorry, no plane found there. “Second, if this news was true, the Civil Aviation Authority of Malaysia would make a hotline call to us for cooperation… But the Civil Aviation Authority of Malaysia has not contacted us on this issue,” spokesman Sin Chansereyvutha said, adding that there are no plans to search the area. But Wilson remained adamant that the site needs to be examined further, with the Star even claiming that the coordinates used by Space View were not the same as the ones on Google Earth. He hopes to survey the site via helicopter for further evidence. Investigators believe flight MH370 crashed into the Indian Ocean, although the truth to the mystery will never know until either the jet or black boxes are found. Identical Plane as Malaysian Airlines MH370 Found in the Israeli Entity? False Flag Plot Aborted? Updated with additional write-up, screen shots, and images, Mar. 29, 2014, 2:00 am EST. The fake Malaysian Airlines disappearing act occurred on Saturday, the Zionist sabbath. From the beginning it has all been a Zionist plot. Now, Christopher Bollyn brings a new twist to the plotting and scheming of these violent ones through his discovery and/or reporting of a Flight MH370 777 jetliner clone in the Zionist strip. The Israelis, no doubt, commit great acts of terror such as the blowing to smithereens of the WTC complex, the detonation and destruction of the Madrid trains (2003), and the blowing up of the London tubes (2005). Yet, simultaneously, they also fake acts of terror, like Entebbe, Sandy Hoax, the Boston smoke bombing hoax, Nairobi, and, now, the Malaysian Airlines Disappearance, alternatively, crash fraud. That secret area that no one would ever realize, so the Zionists presumed, is none other than the Israeli entity itself. Yeffet got one element right. It was a a “plan” by “terrorists,” Israeli ones. However, he erred in calling it “excellent.” Rather, it was, like 911, yet another example of Zionist buffoonery. Then, could there truly be any doubt other than the fact that this entire false terror act is anything other than a Zionist plot? Credit to Christopher Bollyn for the original write-up and to planespotters.net for the discovery. Why would (Zionist) Israel have a plane identical to the missing Malaysia Airlines plane in storage in Tel Aviv? The plane in this photo (image missing) is Boeing 777 2H6(ER) – 28416/155, an identical twin of the missing plane, which has been in Israel since November 2013. What are the Israelis doing with this plane in a hanger in Tel Aviv? Could it be part of a false-flag terror plot in the making? Where is this plane today? Update – According to reports from plane-spotters, Israel has an identical Malaysia Airlines Boeing 777-200 in storage in Tel Aviv since November 2013. The only visible difference between the missing plane and the one in Tel Aviv would be its serial number. What do the Israelis have planned with the twin Malaysia Airlines plane? By using the twin aircraft they have in storage, the terror masterminds may have a sinister plan for the missing plane to seemingly reappear in a false-flag atrocity. Public awareness of the twin plane in Tel Aviv, therefore, could prevent the evil plot from going ahead. For more on the identical Malaysia plane in Tel Aviv see the latest entry, dated March 26, 2014, on my Q&A and Comment page. Note: The Malaysia Air 777 with Boeing serial number 28416 and registered as 9M-MRI was sold to GA Telesis, LLC of Fort Lauderdale, Florida, on October 21, 2013, and is now registered as N105GT. The aircraft was stored at Tarbes Lourdes Pyrenees on October 4, 2013, and then on November 4, 2013, it was re-registered as N105GT and stored at Tel Aviv. Abdol Moabery serves as the President and Chief Executive Officer of GA Telesis, LLC. Previously, Mr. Moabery served as Executive Vice President of Aviation Systems International, Inc., and as Director of Marketing and Sales at C-S Aviation Services, Inc. Both of Moabery’s former companies were owned by George Soros. Therefore it is not unlikely that Soros owns a good part of GA Telesis, too. 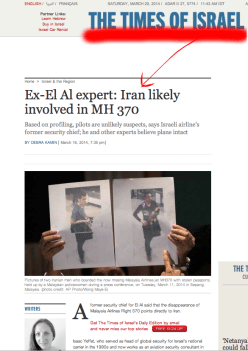 This information is very important because it fits neatly into the terror scenario presented by Israeli El Al “security expert” Issac Yeffet shortly after the Malaysian plane went missing. 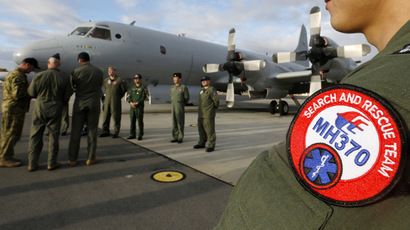 Yeffet suggested the missing plane had been hijacked to Iran and was being prepared for a terror attack. For the Israelis to have an identical plane in a hanger in Tel Aviv reveals why Yeffet presented such a scenario. 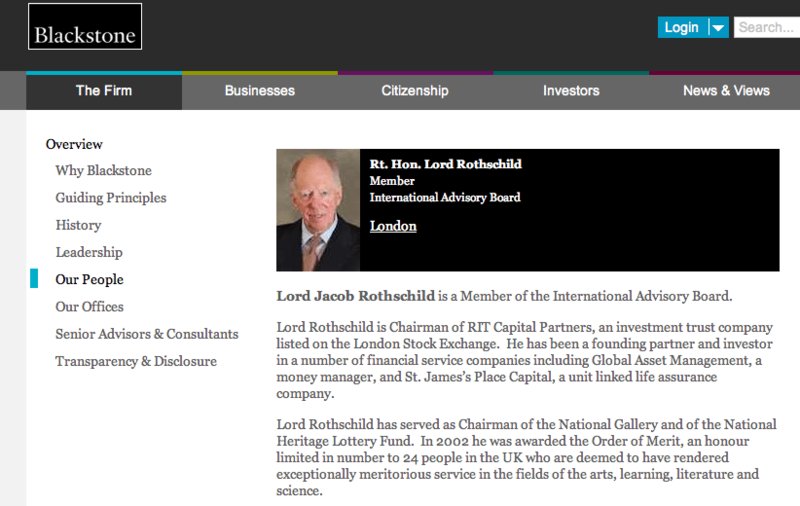 He appears to have been setting the stage for a false-flag attack like 9-11, perhaps in Israel. If such an attack were to occur in Israel all the evidence would be in the hands of Israeli intelligence giving them complete control of the interpretation or narrative of the terror event. “It’s hard to believe it went this way, and we can claim at least a partial victory. UPDATE: THE COMPANY THAT OWNS THIS PLANE IS HEADQUARTERED IN FLORIDA, THE SAME STATE THE 777 INTERCEPTED BY THE DUTCH AIR FORCE FLEW OUT OF, HMMMMMMMMMM . . . ..
UPDATE: The following is absolutely documented in irrefutable terms. I do my homework. Attempts to re-write sources and change records or censor photos won’t work, I do my homework and you cannot get away with that with me, I’ll just re-post originals that are obviously and verifiably NOT FAKE. I looked into this and it actually took some thinking to confirm this was NOT a hoax, and it is not a hoax. I confirmed that it was not a hoax by putting the plane’s exact designation into Google with a dated search that forced all results to be prior to March of 2014. It is indeed a Malaysia flight 370 clone, with Malaysia airlines paint identical to flight 370, and it is indeed parked at Tel Aviv, and has been there since 21-10-2013. The plane is owned by GA telesis and has been sitting there, in Tel Aviv, in storage, as stated. Now, to the non-conspiracy crowd, GA Telesis is an aircraft leasing firm. SO, I guess you could say that explains why this plane is in storage. But I’d like to pop a question then, WHY IN TEL AVIV WHEN THE HOST COMPANY IS HEADQUARTERED IN FLORIDA, THE SAME STATE THE PLANE THE DUTCH INTERCEPTED FLEW OUT OF? . . . . . Good question.